Considering it’s been said to us over and over that breakfast is the most important meal of the day, we should give it some thought. While cooking a nice brunch each morning would be nice, many of us don’t have that luxury. Creating that luxury would mean setting the alarm a little earlier and forgoing precious relaxation time before the coffee kicks in. Sheet pan meals eliminate the need for both. You could easily manage some prep the night before to toss a pan in the oven once it pre-heats, go about your morning routine, then come back when it’s done to a piping hot breakfast in under 30 minutes. That hands-off approach makes eating healthy, nourishing foods first thing in the A.M. – before your brain has officially flipped to ‘on’ status- relatively easy. Sheet pan eggs are the answer, and you’re going to swoon over these pretty dishes! Let’s change the breakfast game with some of our favourite recipes. We seldom think of Italian food for breakfast, but these sheet pan eggs change things completely! Crispy prosciutto, tender artichoke hearts, blistered cherry tomatoes, and a peppering of scallions are all you need to make it happen. This dish takes a total of 15 minutes, so even the busiest of people could swing this impressive and tasty recipe. This is kind of like a frittata with a spin. Basically, you pour everything in, set it, and forget it for 20 minutes. Boom! You can load in the veggies, freeze the individual squares for later, and it tastes great hot or cold. Plus, you could whisk everything together in a bowl the night before and bake it in the morning. One-stage recipes with virtually no prep time? That’s the stuff we LOVE! If you’ve never baked bacon, you’re missing out. Add eggs to the mix and you’ve got your classic breakfast duo without the tending to on the stove top. The grease from the bacon will give you those crispy egg whites, and the yolks will cook evenly for a delicious, creamy bite. Add some tomatoes or any other veggies you like because everything tastes good with bacon. Feeling fancy? How about steak and eggs? Sometimes, you just need something hearty, and this dish is perfect for a ‘breakfast for dinner’ occasion as well. The baby potatoes in the mix will round things out for a complete meal. Plus, you can definitely make enough to have leftovers. This one takes around an hour to make, but it’s worth it because it’s mostly hands-off, and you only have one dish to clean. Pizza for breakfast? Yes, please. This isn’t your standard fare, cold slice of ‘za, though. It’s plenty cheesy and loaded with sausage, but you don’t need any dough. Keep it grain-free with this protein-packed frittata, loaded with Italian flair and flavour instead. There’s nothing like perfectly cooked eggs over a gorgeous hash for breakfast. Sweet potatoes can be tough to cook all the way through on the stove top, though. Opt for the oven instead with this healthy sheet pan hash with Mexican flair including black beans, corn, bell pepper, and a generous sprinkle of chilli powder and cumin. There’s no better way to power up in the morning than with a healthy dose of greens. There’s also creamy goat’s cheese and sun-dried tomatoes in the mix for deep, unparalleled flavour. Serve with toast to dip up the eggs, or try it over sweet potato toast. Perhaps standard hash browns are your preferred method of breakfast potatoes. If so, you’re in luck. You could even use frozen, shredded potatoes if you want to skip the prep altogether for this one. Sausage, leeks, and cheese bring this dish together for a complete meal. At first glance, this doesn’t look like a sheet pan meal, but if you’re up for a two-step process, this roll is a great dish for serving guests at brunch or keeping as leftovers. You’ll bake the eggs, freckled with caramelised onions, carrots, and greens in a sheet pan first. 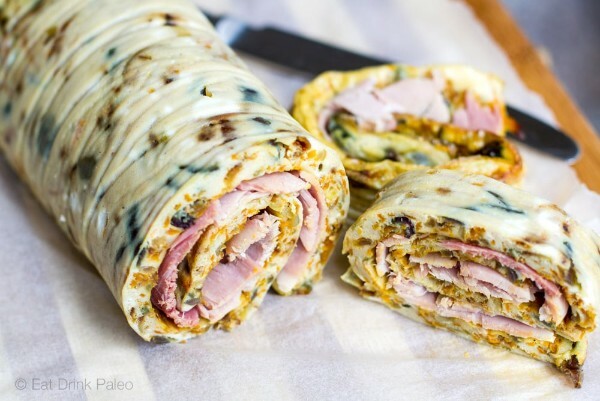 Next, you’ll take the thinly rolled baked “omelette” and wrap up ham inside of it for a smokey flavour and extra protein. If you love lox the way that I do, this recipe features everything but the bagel. A blend of capers, smoked salmon, cream cheese, and Everything Bagel seasoning from Trader Joe’s (a must-have!) do the trick. This is one of those meals you’ll look forward to having leftovers from. Are you ready to revolutionise breakfast? Give it your best shot with these hands-off, easy-cleanup sheet pan meals. Which are you most looking forward to?